This prediabetes program is a fresh start! Just because you have Prediabetes doesn’t mean you will necessarily end up with Type 2 Diabetes. If you’re afraid of Type 2 Diabetes, you can release that fear today. It’s NOT an inevitable conclusion! Even if you’re heading down that path right this moment, you have the power to change direction. You have the power to feel better day-to-day and to sustain your health improvements for the rest of your life! How can this Prediabetes Program Help You? Solution Starter™ is a unique, online education program that represents a brand new era in self-care management and a much more effective way to fight back against Prediabetes. On your terms. On your schedule. From your own home. Expertly developed by Georgianne Holland, the Solution Starter™ program is educational, interactive, and even FUN! Plus, it’s been scientifically proven to get results in reversing Prediabetes. As a Certified Diabetes Educator, Georgianne is fully trained and experienced in teaching the lifestyle curriculum authorized by the U.S. Centers for Disease Control — a program proven to cut the risk of moving from Prediabetes to Type 2 Diabetes by a whopping 58%. The truth is, Solution Starter™ could be a real game-changer for you. Beyond helping you reverse Prediabetes, it also fuels dramatic progress toward maintaining a healthy weight, building confidence and improving your overall health. The Solution Starter™ program includes a full year of support to help you create healthy habits that make a difference…and STICK. It’s a step-by-step process that builds upon your success over 365 days. Because we know those “30-day quick fixes” don’t work–or don’t last. The Solution Starter™ program is about options. Consistently making better choices, day by day. Not beating yourself up for one less-than-healthy decision. We’re all human. The goal is moderation, not perfection. Flexibility, not rigid constraints. Just because you have Prediabetes doesn’t mean you can’t live your life to the fullest. You deserve to enjoy dining out. Attending parties. Going on vacation. You simply need to adopt a smart balancing strategy that also makes your health a top priority. A fabulous life and a healthy life CAN coexist! Think about that. In one year, your body and your lifestyle could be completely transformed. Or you could be sitting in the same place, wondering what to do about it. Sometimes we all just need a trusted friend to help us take that first step. Each of us wants to replace worry with confidence about our health. That confidence can build so that we can become the Health Leaders in our families. We all know and love others with prediabetes and diabetes. Solution Starter could be the answer you’ve been searching for. And Coach Georgianne will be right there to support you throughout the journey. When you sign up for Solution Starter™, you’ll receive access to the Member’s section of the website. Then watch for a beautiful package of materials that will arrive in your mailbox. As a member of the program, about one week later, you will receive the Workbook. You’ll have everything you need to begin participating in the program! Each month for one year, during the first week of the month, new CLASS CONTENT is delivered by email. Grab your laptop or tablet, and get comfy on the sofa. (Robes and fuzzy slippers are always welcome!) You’re one click away from improving your health and changing the trajectory of your future. Solution Starter gives you the control to fight back against Prediabetes in an unprecedented way–and you can do it from the comfort of your own home. It’s convenient, it’s powerful, and it works! 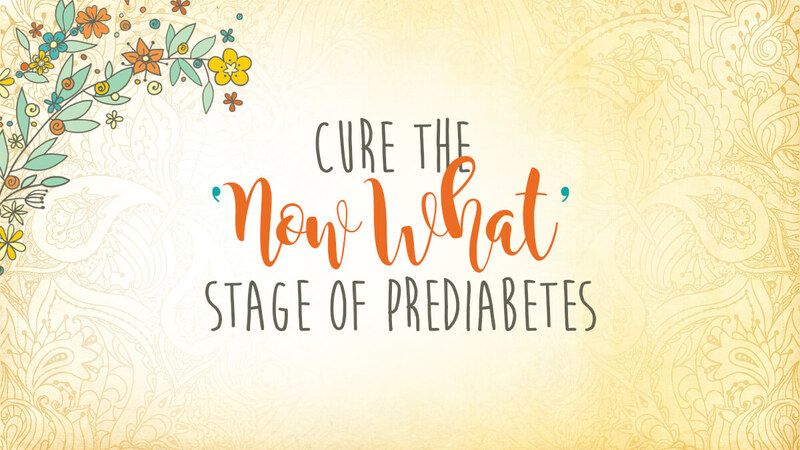 Don’t let Prediabetes define you. Coach Georgianne is ready to help you find the solutions you need, starting now! Watch Georgianne’s 1-minute video and receive her Prediabetes Workbook Preview today! When you take part in Solution Starter™, Georgianne Holland makes a donation in your name to Feeding America–the nation’s largest domestic hunger-relief organization. By signing up for Solution Starter, you’ll be doing something good for your own health…and sharing 100 meals with needy families around the country. It’s a brilliant way to “share the health”! The Solution Starter™ program blends seamlessly with the support you receive from your entire healthcare team, even providing you with great conversation-starting materials for your doctor visits. It is not intended to replace the advice of your physicians.